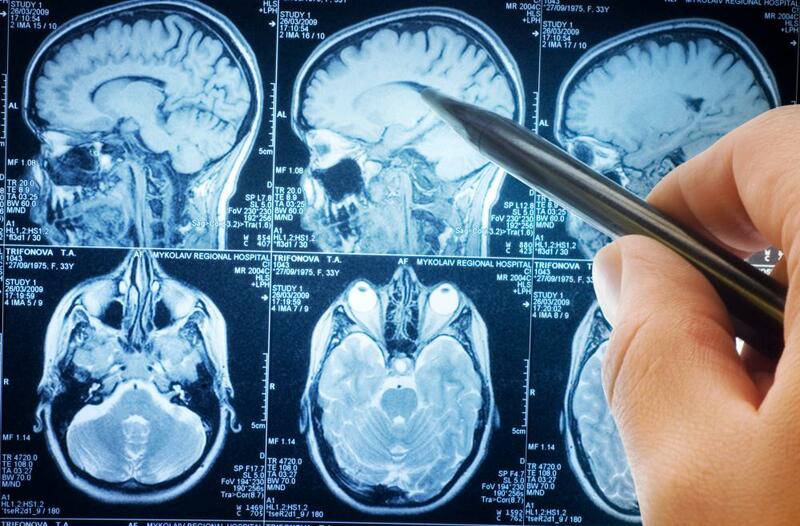 Vincristine may be prescribed for patients with brain tumors. Abdominal cramps may be a side effect of vincristine. Also called vincristine sulfate, this chemotherapy drug is categorized as a vinca alkaloid, which is derived from the periwinkle plant. It affects the division of cancer cells by interfering with their microtubules. Microtubules are the means by which a cell divides and spreads. 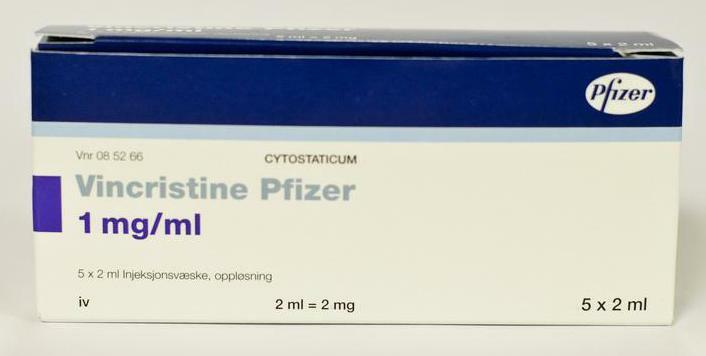 The end result is that vincristine inhibits the spread of the tumors and causes cancer cell apoptosis, or death. Vincristine can treat a variety of cancers, including chronic and acute leukemias, Hodgkin's lymphoma, and non-Hodgkin's lymphoma. Patients with brain tumors, thyroid cancer, or multiple myeloma may also be prescribed vincristine. Sometimes, a doctor may recommend it for a blood disorder as well. There is no oral form of this medication; vincristine may only be taken through an intravenous injection or infusion. This is performed by a health care professional. It is essential for the nurse or doctor to insert the the needle precisely into a vein. This drug is a vesicant, which means that if it leaks out of the vein, it can cause blistering and tissue damage. Patients should alert a doctor immediately if they notice swelling, redness, or pain at the injection site. It is common for vincristine to cause mild side effects. These often include nausea, vomiting, and constipation. Stomach pain and diarrhea may also occur. Other patients report aches and pains, including jaw pain, as well as thinned hair. Fatigue and mouth blisters that are severe or persist for several hours warrant a doctor's attention. Severe side effects from vincristine should be addressed with immediate medical help. These include vision problems, difficulty walking, and swelling of the lower extremities. Urinary incontinence, painful urination, and persistent changes in bowel habits may also occur. Patients may also experience severe abdominal cramps and numbness as well as a sore or hoarse throat. Vincristine may cause harm to an unborn or breastfeeding baby. Patients should use a barrier method of birth control while taking this drug. Women should also be aware that this chemotherapy treatment may interfere with normal menstrual cycles. It can also stop sperm production in men. Patients should follow self-care guidelines recommended by a doctor. These generally include maintaining good nutrition and consuming adequate amounts of water. Antinausea drugs may help a patient eat regular, small meals. People should strive to avoid crowds and contact with people who are ill in order to reduce the risk of infection. Mouth sores may be prevented with a daily mouth rinse of about half a spoonful of baking soda dissolved in a glass of water. What Are the Different Vinpocetine Side Effects? What Are the Medicinal Uses of the Rosy Periwinkle?